Beginning January 1, 2019 certain expanded polystyrene (EPS, popularly known as “styrofoam”) products will be banned from sale, distribution, or use in NYC. 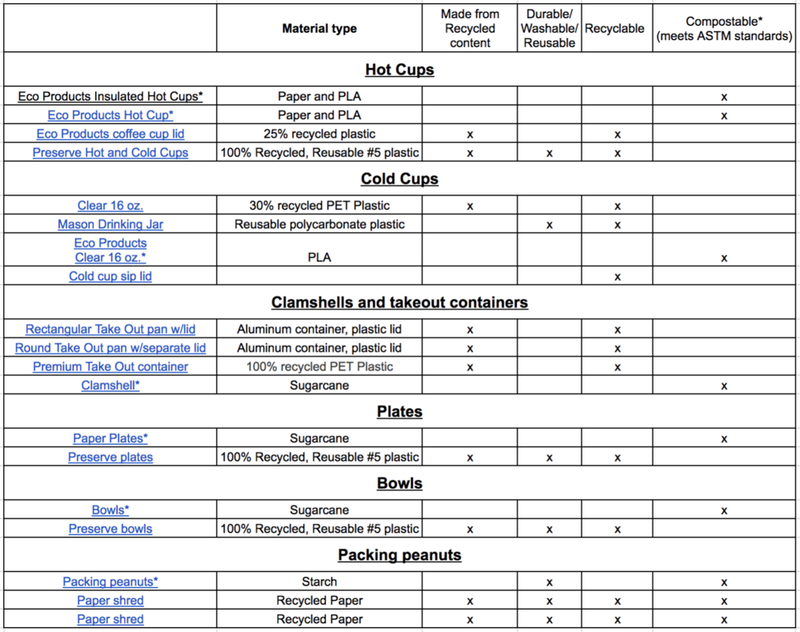 Materials covered by the ban include EPS single-service items including cups, bowls, plates, takeout containers and trays; as well as EPS loose fill “packing peanuts”. Visit nyc.gov/foamban for more information. There are many inexpensive, more sustainable alternatives to EPS foam on the market today. MSWAB Foam Alternatives Task Force took a look at food service packaging life cycle analysis studies including the recent Oregon DEQ study, consulted with NYC’s municipal recycler SIMS, and did extensive research to provide sustainable EPS foam alternatives to NYC businesses and residents. What are the most sustainable options from a lifecycle AND end of life perspective? **Compostable foodservice packaging from agricultural products (or virgin materials) has significant environmental impacts, combined with the fact that a low percentage of it is actually composted. However, some products now contain post-consumer composted fiber. These products have a lower environmental impact and are therefore preferable to compostable serviceware made with “virgin” materials. Which disposable, recyclable products are most sustainable? Compostable products that are certified by the Biodegradable Products Institute, see the logo (right). Certified compostable product that contain post-consumer fiber content are preferred. Refer to Biodegradable Products Institute (products.bpiworld.org) for a searchable database of certified compostable product companies. *These products are compostable in a commercial facility only. Check ahead with your waste hauler to make sure they can accept these products for composting before you buy them. 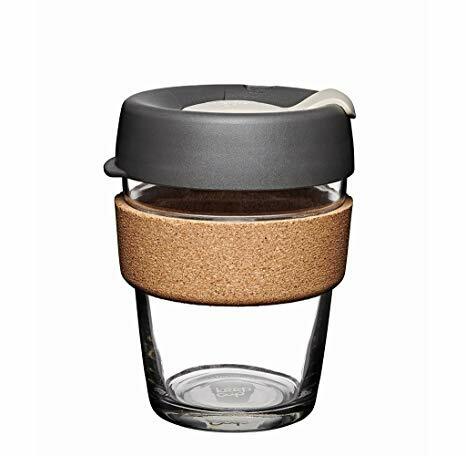 On the go- Bring your own reusable cup when purchasing coffee. Eating in at a restaurant and have leftovers- Bring your own “doggie bag”- raid your kitchen cupboard BEFORE you go out to eat and bring a reusable container with you to fill with leftovers. Having a party- Invest in a set of durable, reusable party plates, cups, bowls and utensils to reduce the amount of waste your parties generate and save money. Ordering catering at home or work- Ask the restaurant or caterer to bring the food in durable metal, reusable catering trays. If you have any questions, contact us by emailing manhattanswab1@gmail.com. We will do our best to get back to you within a few days. Disclaimer: The information contained here is provided by waste experts on the Manhattan Solid Waste Board. Our foam alternative recommendations are included above but we recommend you do your own research as well before purchasing foam alternatives for your business or home. Please note, the foam alternative products linked above do not indicate that we support any one business over another, these are suggestions only. The Manhattan Solid Waste Advisory Board (MSWAB) is a volunteer citizens’ advisory board dedicated to helping NYC achieve its zero waste goals. We advise the Manhattan Borough President, City Council, City Administration and others on policies and programs regarding the development, promotion and operation of the City’s waste prevention, reuse and recycling programs. We are a Board comprised of solid waste management industry, waste reduction and diversion consultants, sustainability professionals, and concerned citizens, appointed by the Manhattan Borough President’s Office. We produce two grant programs: the NYC Community Composting Grant and the NYC Reuse and Repair Grant, hold monthly meetings, provide information online about waste reduction and diversion in NYC, and have a number of active committees, all of which are open to the public.